I am happy to report that First Pacific has delivered robust earnings growth for 2017 notwithstanding headwinds in key markets and industries. Contribution from our businesses and recurring and net profit all delivered their strongest increase since 2011. This success takes place in spite of a 5% depreciation last year in the average Philippine Peso and an increasing likelihood that the benign interest rate environment of the past several years is coming to an end. Management of your Company have worked assiduously to reduce both our borrowings and our interest bill as we wait for this year’s improved results to translate into stronger dividend flows from our investee companies as we look ahead. It’s looking good. Our biggest holding, Indofood, has raised its contribution by more than 7% as all of its businesses reported stronger sales, and we hope a similar performance in 2018. Goodman Fielder has delivered the second-biggest increase in contribution to First Pacific while MPIC has reported its eighth successive year of earnings growth – to a record high. After five years of heavy capital expenditures, PLDT is regaining its position as the finest telecommunications company in the Philippines, winning four out of six awards from OpenSignal for quality of mobile experience and tying in one category while not winning in only one. These impressive results underlie the improved operating results we are beginning to see and I look forward to its return to revenue and earnings growth moving forward. 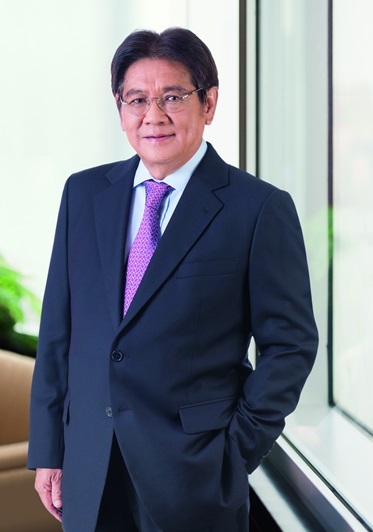 All in all, I believe our Company is well placed to deliver sustained earnings growth over the medium term, led by its three largest holdings, Indofood, PLDT and MPIC. They are well managed companies dominant in their industries operating in markets where we are confident of continuing strong economic growth in the years ahead.